Striker Gerry joined Watford while in the Second Division in 1980. The Northern Ireland international went on to score 12 goals in 76 games, including the club’s first ever goal in the top flight. He signed for Real Mallorca in the summer of 1983. Now a commentator on La Liga for Sky Sports, Gerry spoke to Watford Legends in 2010. Hi Gerry. Thanks for talking to Watford Legends. How did you become a Hornet? I was playing for Spurs from 1975 through to 1980 and I became aware that Graham Taylor was interested in me probably about a year before I actually signed for the club. I liked playing as a centre forward but Spurs had used me as a right back and a centre half. They were short of central defenders and the manager at the time thought that it would be a good position for me but there is no glory playing there so I didn’t really enjoy it to be honest. I played plenty of games for Spurs at centre half and right back as well as a few in midfield. Eventually I got word that Graham had made an offer for me. Keith Burkinshaw told me about the offer so I went to speak to Graham and that was when he told me they had been trying to get me for over a year. Watford were down the bottom of the second division then and Spurs were going well in the top flight but I wanted to play and Graham wanted to play me as a centre forward so it was a no brainer for me even though I was dropping down a division. Les Taylor and Pat Rice had joined at around the same time so it was clear he was building a team to win promotion and Graham had made it clear he wanted to push on and get to the top flight. He convinced me it was a great club to go to and I already liked him as a person. I liked him even more when I met him and started working for him. I think it was around October of 1980. I signed on the Thursday, and the first game on the Saturday got cancelled because of a waterlogged pitch. We were then taken to Lloret de Mar on a two or three day break which was hilarious with the likes of Steve Harrison and really helped me settle. It was great and I stayed at the club for three years, three very good years. I thought Graham was a great coach and between him and his other coaching staff they got the best out of me and got me fitter than I had ever been as we trained really hard. I used to win all the sprints at Spurs but when I got to Watford they were all so much fitter than me. Training was very competitive and it was all about being the best. 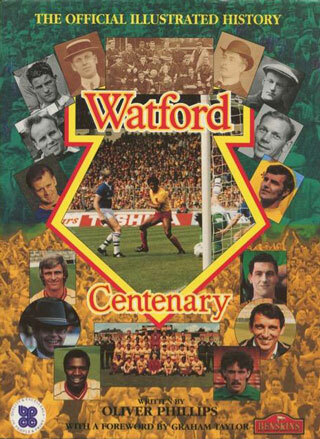 Obviously those years were great for Watford and it culminated in 1982/83 in finishing second in the top flight. You also have the great honour of scoring Watford’s first ever goal in the top flight. Yes against Everton when I was playing up front. There is actually a photo of it in the lobby of the Rous stand. Graham had tried getting me along to a game for ages but I was always busy, but he told me to ring him when I was back as he had a surprise for me. I did just that and went along to a game. He came to meet me and showed me the new lobby and asked what I thought. I told him it looked good, he then told me to look properly and there is this big picture of me scoring the goal! I was chuffed to bits to be honest. Neil Price has been on my case to get down to a game soon and I only moved to Wokingham last week, before that I was in Northern Ireland so it was hard but now I am in England I will be along for a game soon enough. 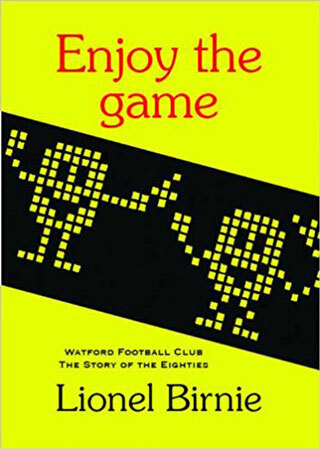 It will be nice to see some English football rather than just Spanish or international football, it’s good to see Watford have had a decent start to the season as well. How would you say you enjoyed your time the club overall? I loved it, I really did. I had three great years there. It’s very much a family club and I had a lot of fun with everyone there. Graham and everyone else at the club made it a great place to be. The camaraderie amongst the lads reminded me a lot of the laughs I used to have with the Northern Ireland squad. Everybody looked after each other, we were all mates and we trained hard – put all these bits together and you get results. It was a bit of a purple patch in my career. With Northern Ireland as well I had a six year spell where we qualified for two World Cups and won the British Championships. We drew with England at Wembley, we won away at Romania, and we beat Sweden 3-0. We had some really memorable times during that spell. So overall at club and international level that was a great time and probably the highlight of my career. After Watford you moved on to Real Mallorca – how did that move come about? Just after the 1982 World Cup I was in a game and jumped for a ball. I landed awkwardly and broke my tibia and fibula. I thought I would be out for four or five months but luckily it was only two and a half months. After being out for so long and having your leg in plaster it takes some time for your confidence to come back. It took me ten to twelve weeks to get back to full fitness. I started the season off well scoring against Everton and getting a couple against Southampton down at the Dell. We won 4-1 when Peter Shilton was in goal. We finished the season well and finished off as runners up only to Liverpool. I was 29 then and Graham called me to say Spanish clubs were interested and that Mallorca had actually made a bid for me. I spoke to them and the package they were offering me and the money on offer was more than I could ever earn from an English club. It was two and a half times the money I was on at Watford. That and living in Spain really appealed to me. I went to speak to them and liked what I saw. Eddie Plumley flew out to finalise the deal and I signed the deal in a hotel on the seafront. Doug Ellis happened to be there at the time so he was the witness to the deal! We used to have a party at the start of every season at Elton’s house in Windsor, so after I signed the deal myself and Eddie flew back just in time to make the party. I used that as my opportunity to say farewell to everybody. Little did I know our paths would cross again soon! In Spain, Mallorca hold a mini football tournament at the beginning of the season and they wanted a British team to join it. Watford had just lost in the cup final to Everton, so I suggested they join us for the tournament. Majorca said yes so I put it to Graham. He then told me to put it to John Ward and he organised it from there. I think Barcelona were in the tournament as well. It was nice to see everyone again. You missed out on the Cup Final at both Spurs and Watford. And moving on to more recent times, you spent some time on the coaching staff with Northern Ireland. Yes I was assistant manager twice, once under Bryan Hamilton for four years and again under Lawrie Sanchez for another four years. I enjoyed it. When you get to the stage where you can’t play you still want to be involved. I was doing a bit in non league football which was good but when you get to international level it is great. I was working with both the under 21s and the seniors. Bryan left and I wasn’t sure what would happen and then Lawrie got the job. He called me and said he had spoken to Bryan who had recommended me very, very highly which was great to hear. He asked me to go and do the same role with him so of course I said I would. It suited me as I was working for Sky, but on international breaks there was obviously no Spanish football so I could go off and do my work with Northern Ireland. From an outside view Lawrie Sanchez looks like he could be quite a difficult bloke to work with – is that the case? Yeah! He has his own ways. There was Terry Gibson, Dave Beasant, Lawrie and myself and between us we were a really good team and we had some great success. My last game was the 3-2 win over Spain in Belfast. I had been looking to get away a bit before that as my wife was preparing to have our second child but I was convinced to stay a bit longer, and now I am just concentrating on Sky. This is my 15th year with them and it’s still great. What do you rate more highly, La Liga or the Premier League? La Liga – technically it is the best league in the world. I have been saying that to Andy Gray and others for years. The Premier League is the most exciting league and the most popular league but technically nothing comes near the Spanish league. The work Spanish clubs have put in over the years is paying off now as they have some unbelievable players and are obviously world and European champions. If you were 25 now and had the option to play in either league, would you go for the cut and thrust of the Premier League or the total football of Spain? If I went for the Spanish option I would get sent off every week unfortunately! I was very much a Premier League style player. When Mallorca signed me they wanted someone who could challenge keepers and centre halves and display plenty of guts and determination. That was what they wanted then but now I see players who dive at the drop of a hat. They call it simulation, I call it diving. The game has changed an awful lot and at times I think it has gone too far the other way. I welcome changes such as no tackling from behind but the players milk it so much now. I have seen it happen in the Premier League as well but in answer to your question, I am more suited to the English league. Do you feel the media are too accepting of the diving by referring to it as simulation, rather than being more hard hitting and describing it for what we all know it is? I agree and I don’t like it. It is something I went on about in my early years as a commentator and I really banged the drum but it does seem like people just accept it now. I understand a bit more from the Spanish, Italian and French point of view as it is part of their culture. They play for free kicks and try and get people in the book knowing they then can’t challenge or they will get sent off. That is the way they look at it but the way I see it, it is a form of cheating. It is not in the concept of the rules of the game that I know and love. There is a lot more honour in winning eleven v eleven. Some of the decisions that are given are shocking but I have lot of sympathy for the officials as the players are so quick and clever at it that it’s impossible for them to judge. I get to see an action replay but they have to make a split second decision. It’s tough for them. Do you find that it makes your job as a commentator more difficult? Yes because you have to make a comment straight away. A lot of the old school players find it tough to comment on it as diving isn’t in their knowledge of the game. Gary Birtles and the like at Sky wouldn’t know how to dive. It’s not as bad in the Premiership but certainly on the continent it is a problem. The only people that can change it are UEFA or FIFA. It’s been highlighted over the years so many times, they say they will change it and that refs will clamp down and send off anyone caught diving. They do it the first two or three weeks of the new season and then it just disappears. I think the answer is to give anyone subsequently proven to have dived a six game ban. I agree but they haven’t got the balls to do it! There are too many big stars that do dive and UEFA or FIFA won’t see them banned for six games, no way. It’s wrong though, its cheating – full stop. Thanks for your time Gerry, hope to see you at The Vic soon. You will indeed boys. See you soon.